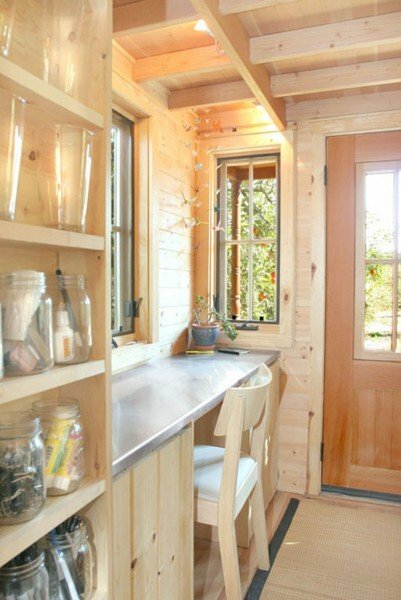 I am sharing the small space living Tumbleweed Tiny Houses Company today. 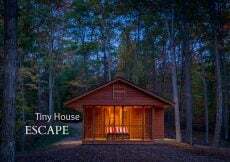 Have you seen their small homes? 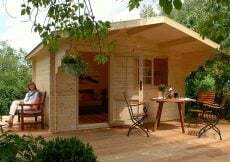 You can build a tiny or small house with their house plans for pennies comparatively. 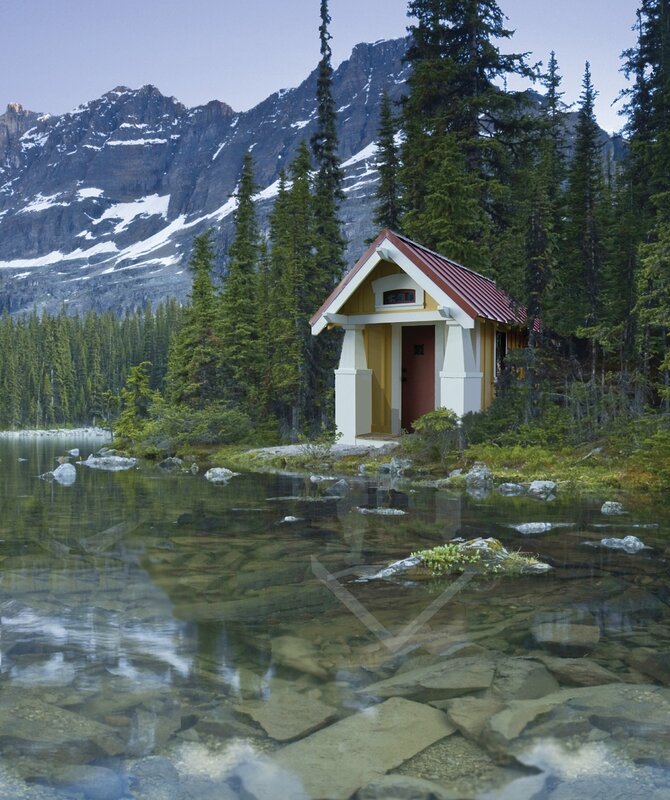 Do you want to build a small guest house on your property? The one below is only 107 square feet and a lot of cities don’t require a permit for a building less than 120 square feet, well, do check with your city zoning laws, but I am just sayin. The creator of Tumbleweed Tiny House Company is Jay Shafer whose vision for small homes is about the space being used well. 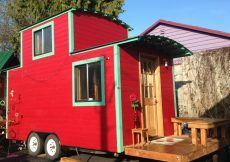 His company has The Tumbleweed DIY Book you can buy or you can attend workshops around the country to gain the knowledge needed to build and design your own tiny home. 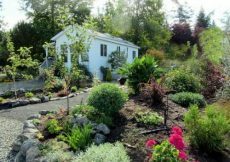 They have tiny house plans to buy on their site and many more small homes to pick from other than what I am showing today. It could not be cuter or more intriguing. 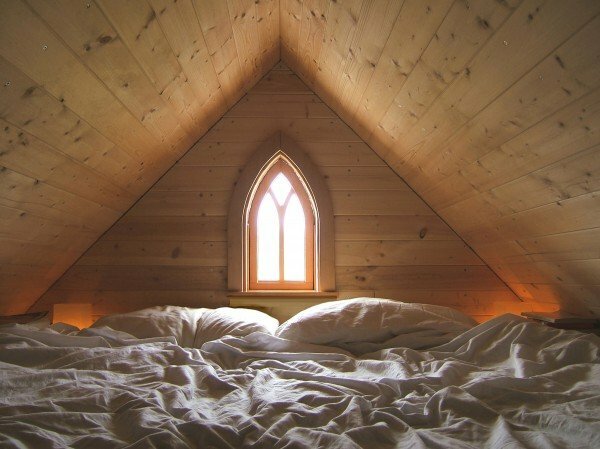 Doesn’t it make you want to go inside and explore? 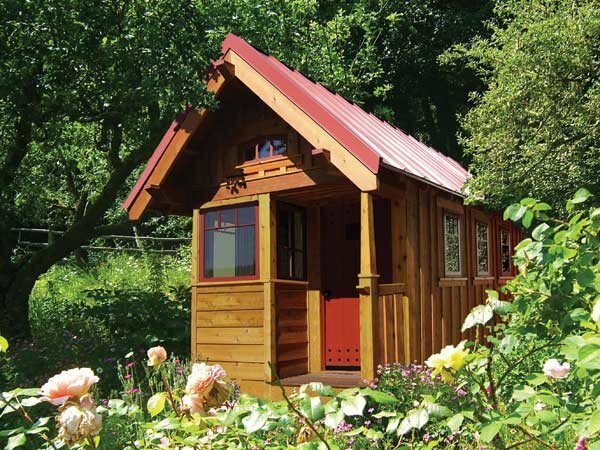 This model is called the Stamper in their Box Bungalow series. The Anderjack model is also in the Box Bungalow series at 99 square feet not including the porch. 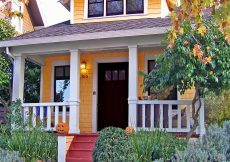 Per Tumbleweed, the entrance with two columns, generous purlin, eave and window trim make it a Craftsman traditional house style. What is a purlin I wonder? It is horizontal timbers supporting rafters of a roof. Okay, now we know what a purlin is. I’ll take two, they’re small. 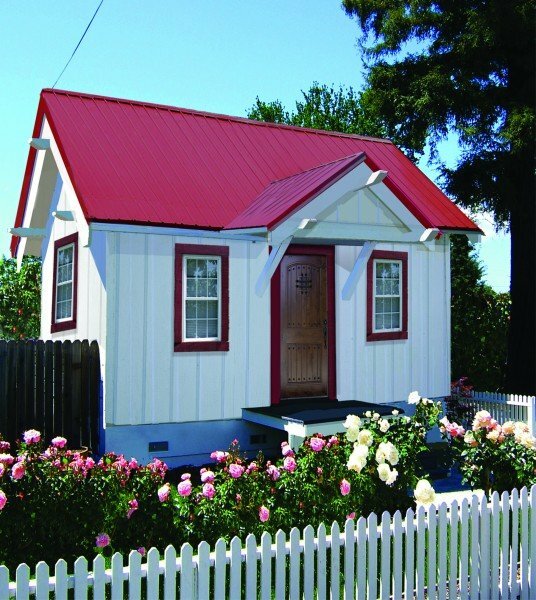 The Zinn from the Box Bungalow series is 99 square feet (smaller than small), but the door and two windows are on the side of the house instead of the front like we see in the Anderjack and Stamper models above. The model above is called the Epu. Ready-made is $45,997 and build it yourself cost is $19,950. The house width is 8 feet and length is 15 feet. It has the porch, main room, kitchen, bathroom, a ceiling height of 6’3″ and a loft height of 3″, 8″. Check out the interior below. Tumbleweed Tiny House Company has a series of cottages and the above model is one of their largest available. 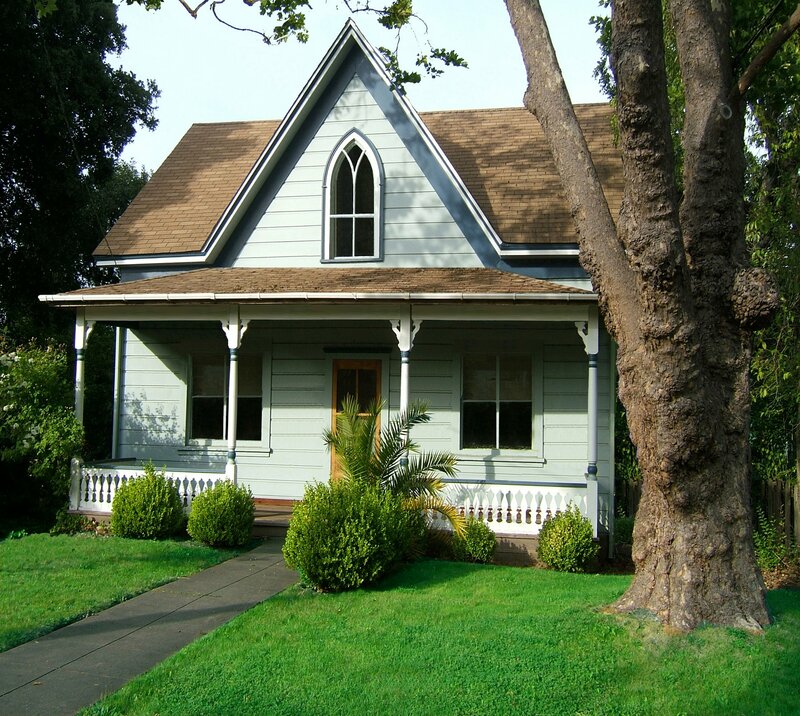 They have house plans to build it as a 2 bedroom (750 square feet) or a 3 bedroom (847 square feet). Their estimated cost for the largest (3 bedrooms) is $56,000. I could not find any interior photos of their cottages. But, the kitchen in this model includes a dishwasher, full-sized range with oven, and a built-in microwave. 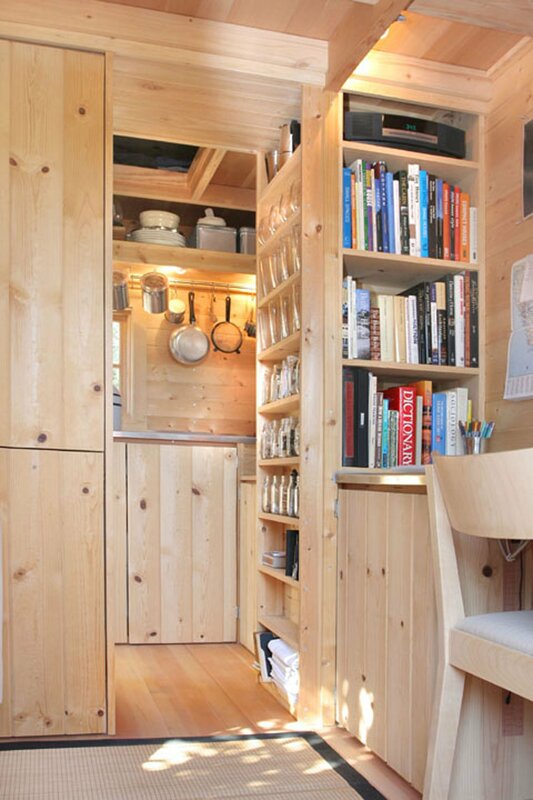 Surprisingly, it also includes a stacked washer and dryer, and a small fireplace. It is obviously not a to-go model. These small homes are great for anything. 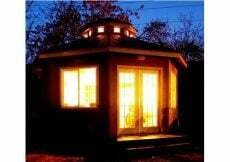 A guest house, yoga room, hobby room, playhouse, backyard getaway, man cave, or your main living space. Tumbleweed is on Facebook at 49,959 people Liking and growing because I just hit Like and turned their 49,958 into 49,959, and I am heading over to Pinterest to Follow at TumbleweedTHC where they have boards like Things To Put In Your Tiny House and Art For Your Tiny House. 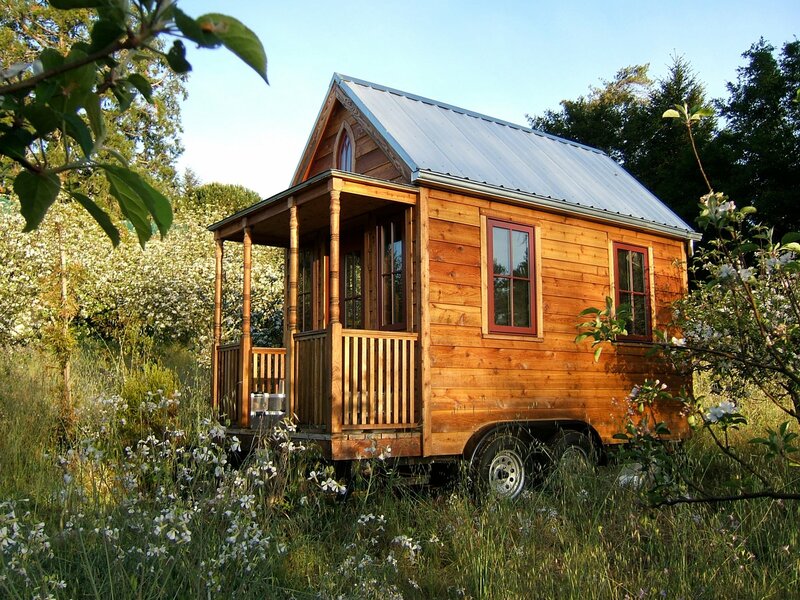 I am happy to add Tumbleweed Tiny House Company houses to my collection of homes. Have a teeny-tiny great day! 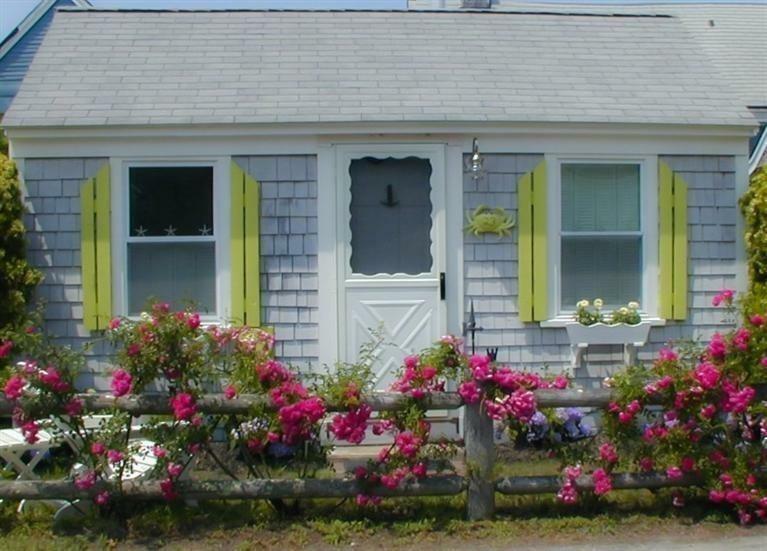 See even more on Tiny Houses like this cute Tiny Cottage in Massachusetts. 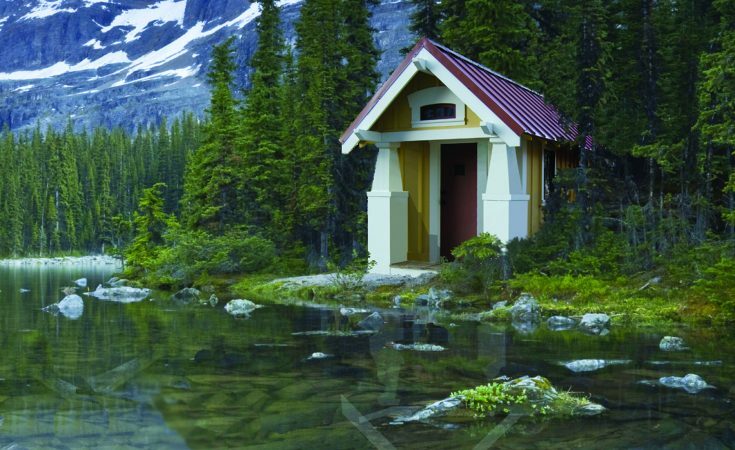 I love these tiny houses in concept – in reality, I don’t think I could do it! 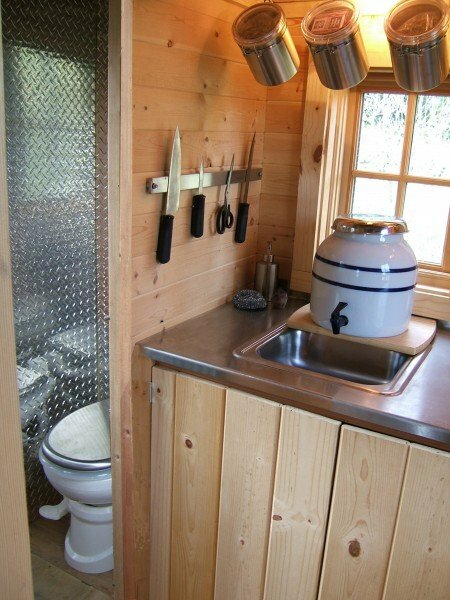 @sharongreenthal I was just thinking that it’s not a house to live in if you have claustrophobia or are a hoarder.